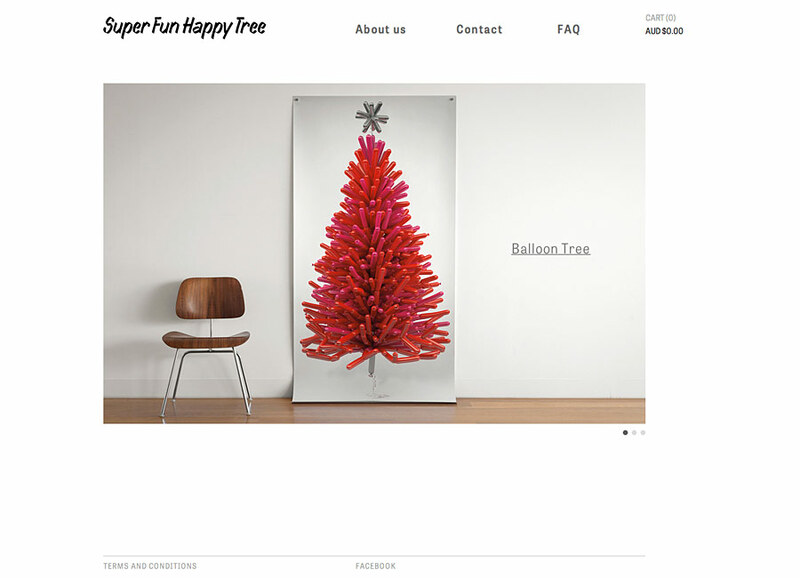 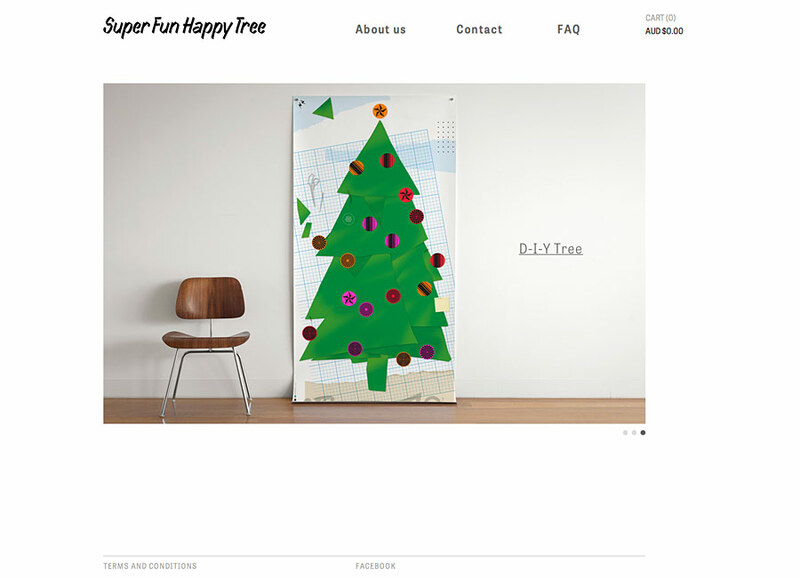 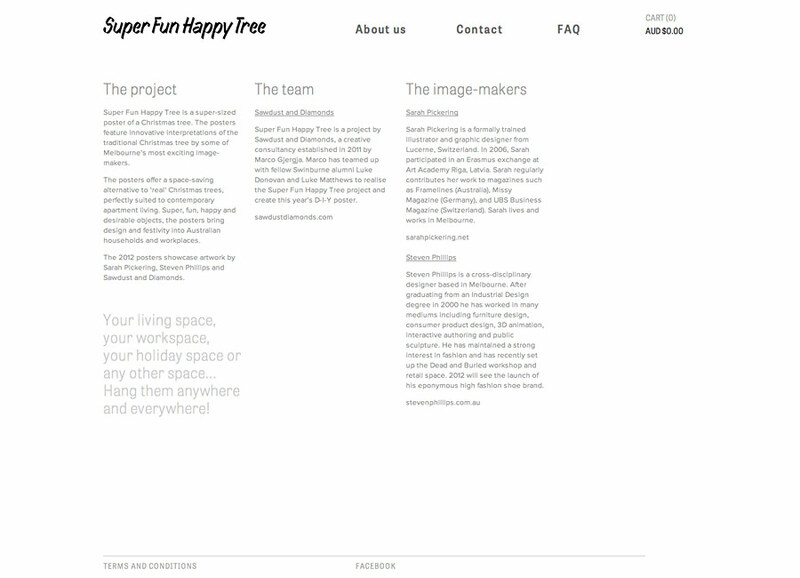 Super Fun Happy Tree is a supersized poster of a Christmas tree. 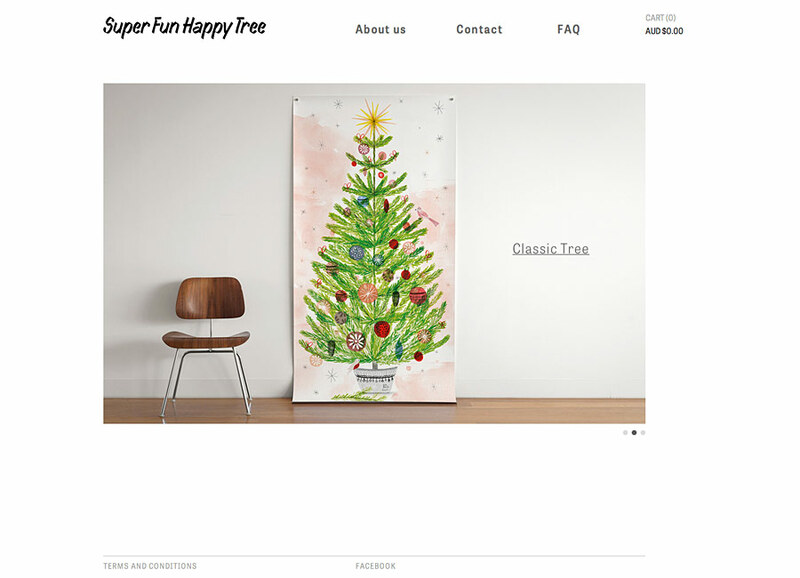 The posters feature creative interpretations of the traditional tree by some of Melbourne’s most exciting image-makers. 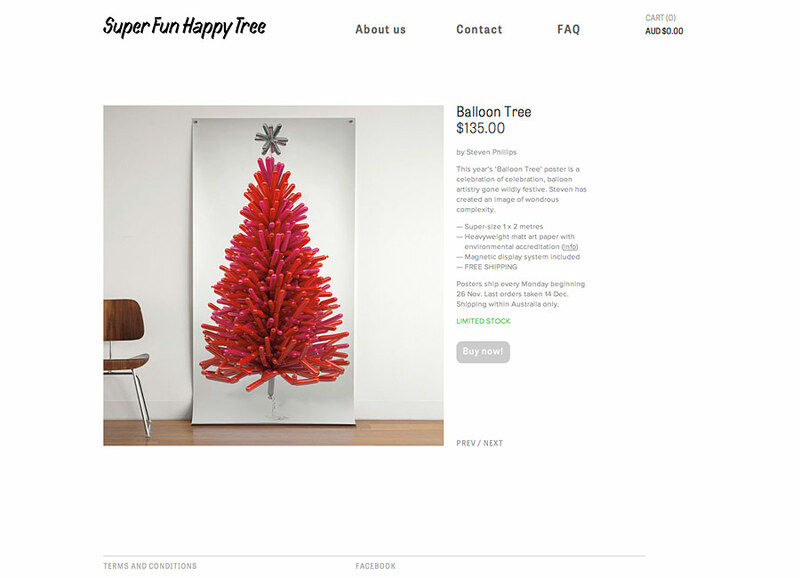 Perfect for the contemporary apartments, it’s a breeze to hang up or roll up for storage!